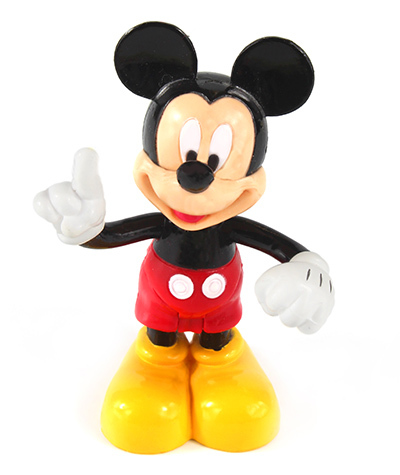 Pronexus VBVoice IVR Blog | SpeechTEK 2016’s Lessons from the Mouse: What Did You Miss from This Year’s Keynote? This year’s keynote focused on customer experience; the speaker, Dennis Snow, shared his expertise in helping Disney World provide its renowned customer experience for over two decades. His book, called Lessons from the Mouse, expands on these lessons learned from the paragon of customer care, Disney World. We wanted to share with you our biggest takeaway from this talk, and how we believe this is applied to IVR development. As a customer, what frustrates you or creates obstacles for you when you call customer service? Is it a long introduction message full of information you already know (i.e. “Did you know you can do this on our website”)? Is it having to constantly take your smartphone away from your ear to enter touchtone responses because you can’t use just your voice? Looking through the lens of the customer can help you discern where and when customers struggle in the IVR solutions you deploy, and help you develop strategies to eliminate the obstacles. In creating an overall business strategy, IVR may not be the first thing on anyone’s mind. But this is one of the main ways customers will interact with a company, and when they do, they are often frustrated and already struggling. The customer’s experience with the IVR speaks to the ethos of a company as much as the website, or as much as the front end sales experience does. Every interaction between the company and the customer speaks to the customer. Reminding companies of this is important so that the IVR solution supports the brand and the desired customer experience. A small amount of effort can make a huge difference to an end user. Disney encourages all its employees to take initiative in creating moments of wow and surprising customers with small memories that they will cherish, from cast members to room service attendants. Surprising the customer by anticipating their reason for calling customer service is one example of how well-designed IVRs can help create moments of wow – stay tuned for our next blog, where we will explore anticipatory IVRs in greater detail! Click here to learn more about Dennis Snow’s book, Lessons from the Mouse. Click here to learn more about SpeechTEK 2016.